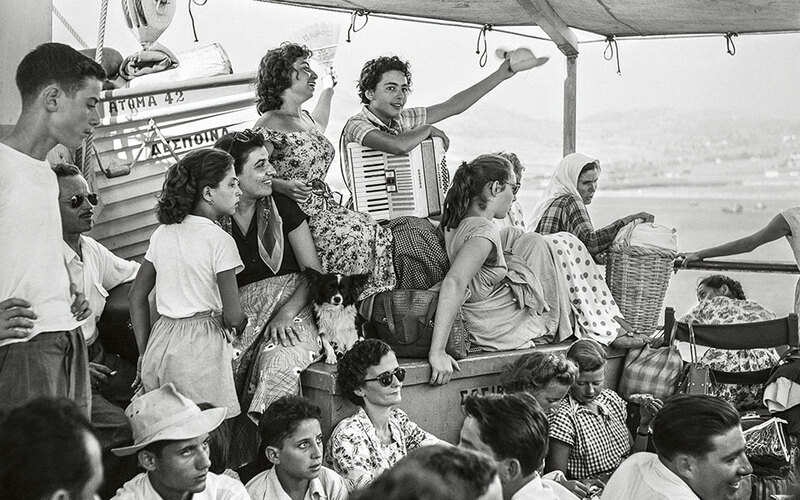 Acclaimed photographer Robert McCabe's images from Mykonos in the 1950s capture the spirit of the island that would enchant the world. The seafront of Yialos once belonged by right to fishermen, boatmen and dock workers. 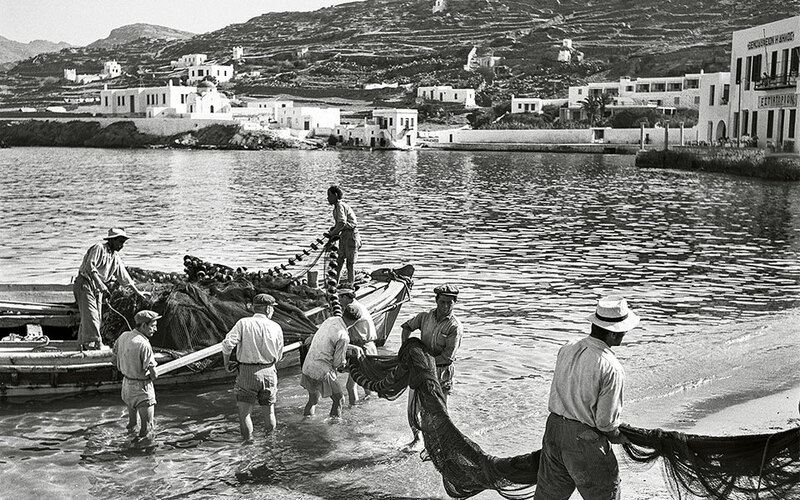 Here, trawlermen, probably from Evia, carry their nets across the sand before cleaning and mending them on the marble promenade. In the background are the Archaeological Museum and the Kaminaki district; high above, the Church of Aghios Vasilis, built partly into the rock, and further below, the newly built Leto Hotel. 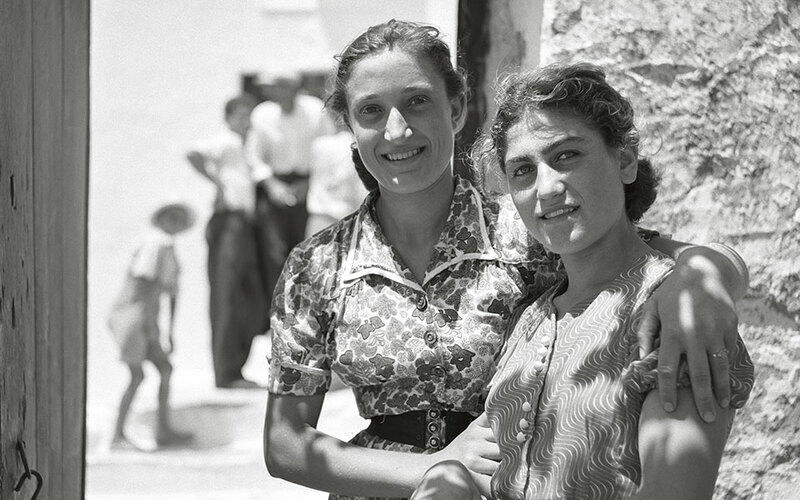 Two young girls (with the healthy glow of the sun, the etesian wind and the sea on their faces) stand at the entrance to the Monastery of Aghios Panteleimon, in Marathi, on July 27, the saint’s feast day. There was only one person we found who remembered these two young girls, but he could not say if they were still alive. It may be that they emigrated long ago – life in a foreign land is also a kind of death. Two fishermen (the one on the left is Nikolas Nikou with his daughter), at Aghios Haralambos. Opposite is the beach of Megali Nammos; high above is the hill where the Mycenaean tomb of a Mykoniot princess was discovered a few years ago; it is believed that the princess died at an early age. Successive terraced fields resembling musical staves alternate harmonically with the drywall structures. The sky sprinkles the sea rakishly with silver and gold coins that are spun playfully in their turn by the etesian wind and the light of the sun. thoroughly enjoy what was then a journey of several hours from Mykonos back to Piraeus, provided the weather held; but when the boat was caught in those torrential gales that only the Aegean, of all the seas in Greece, can unleash, then all the feasting, music, dancing and romancing that characterized these crossings were abandoned on the spot, replaced by nausea and screams. The glorious celebration of the Feast of St Panteleimon on July 27. 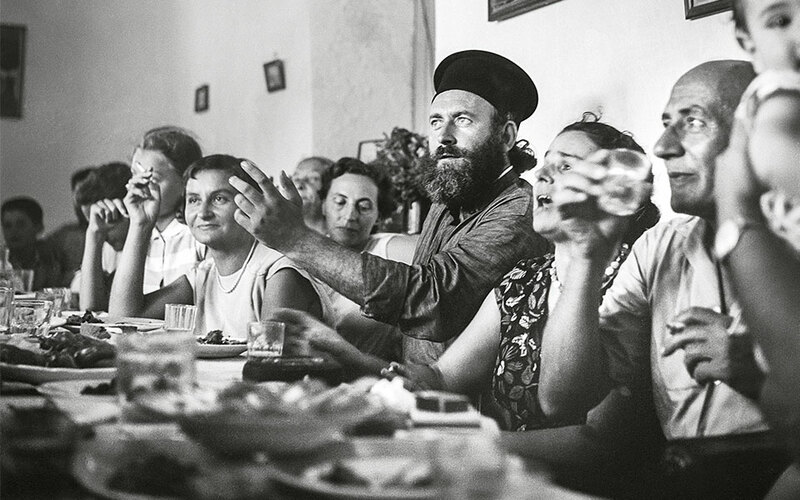 In Robert McCabe’s exceptional photographic study of characters and moods, Vasilis Athymaritis, a fine fellow of a priest, holds pride of place. He relished telling long, elaborate stories of the island, of its mythical past and of its people. 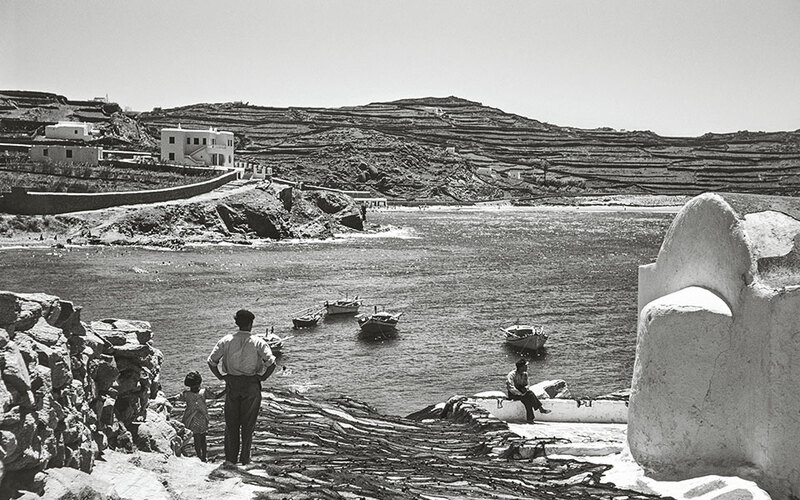 These photographs are from Robert McCabe’s forthcoming book of photographs of Mykonos in the 1950s. It will be available in late September from Patakis Editions.